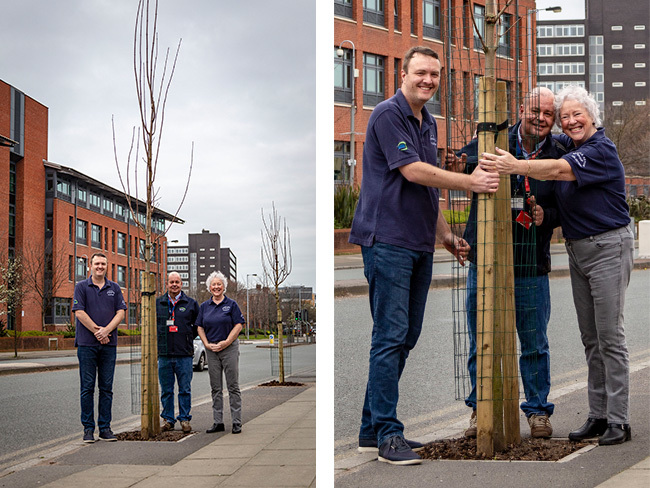 THE partnership between Bootle Action Group and metal and plastics recycler, EMR has seen more success with the planting of new trees on Merton Road. EMR has donated over £800 to Bootle Action Group to plant new trees, as part of the group’s dedication to creating a cleaner, brighter Bootle. Bootle Action Group launched a partnership with EMR in 2017. As part of the partnership, EMR has committed to supporting large clean up events and projects across the town which have been scheduled throughout the year. They have recently donated over £2,000 for new bins outside the Strand Shopping Centre and Hugh Baird College and provided hi vis jackets, safety equipment and warm clothing to keep the group safe and warm whilst cleaning the town. Founder of Bootle Action Group, Mike Brennan said: “We would like to thank EMR, which has funded the trees as part of our partnership with the company. EMR General Manager, Phil Hoare said: “At EMR we put a great deal of importance on supporting the communities that are close to our sites and we are proud to have a partnership with an organisation that makes such a difference.